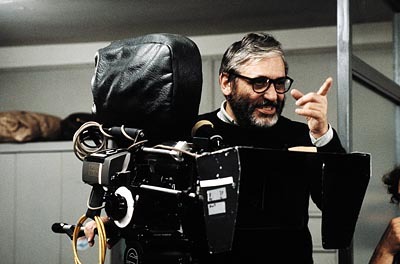 Maurice Pialat’s first feature film, Naked Childhood, was released in 1968. It was considered by critics to be a social commentary, but Pialat disagreed. His beautiful debut about foster children trying to fit in with their adopted families deliberately avoided the fraught political arguments of late 1960s France, and instead concentrated on the real lives of the French working class. It showcases the stunning naturalistic performances that would become a hallmark of Pialat’s work, and immediately cemented him as one of France’s best emerging auteurs. The film was nominated for a Golden Lion at the Venice Film Festival, and was awarded the Prix Jean Vigo in France. At a pacey 83 minutes, it’s the perfect film to kick off this double, which continues with his 1987 film Under the Sun of Satan. Gerard Depardieu stars as a zealous rural priest determined to save the soul of a young woman, played by the extraordinary Sandrine Bonnaire, who has shot dead her lover. It is a deeply religious film clearly made by a self-professed atheist, and is a starkly beautiful and chilling masterpiece. It was the first French film in 21 years to win the Palm d’Or at Cannes, a decision that was met with some controversy, as you’ll hear on the show. Watch these films back-to-back and you’ll not only have a perfect evening of film viewing, but you’ll come away with a firm grasp on the filmmaker Pialat was and the filmmaker he became. Substitutions: If you can’t get or have already seen Naked Childhood, seek out To Our Loves (1983). The screen debut of frequent Pialat collaborator Sandrine Bonnaire, the story of a family threatened by the bourgeoning sexuality of their daughter is unforgettable and intense, and even features Pialat on screen as the family’s patriarch. And he’s a damn good actor. If you can’t get or have already seen Under the Sun of Satan, get your hands on Van Gogh (1991). Vincent Van Gogh is a passion subject for so many filmmakers, and Pialat had been preoccupied with the artist his whole life. The film covers the final 67 days of Van Gogh’s life, and is unsentimental and beautiful at once, concentrating more closely on his personal life than his work. Most of Pialat’s films ran close to the 90 minute mark, but Van Gogh comes to an epic 158 minutes, and every second of it is earned. The Hidden Gem: Want to see something off the beaten path, a title rarely mentioned when people talk about the films of Maurice Pialat? Then you should track down The House in the Woods (1971). Long before renowned auteurs like Jane Campion, David Fincher, Susanne Bier and David Lynch moved from cinema to short-form TV, Pialat directed this seven-part TV series for French television. Written by Rififi co-screenwriter René Wheeler, the series follows the citizens of a small village during World War One. It ranks alongside Pialat’s best work, with some surprisingly funny moments and unexpected diversions. The extra room suited him well, and he doesn’t waste a moment of the extended running time as he takes us deep into the lives of his characters. The next episode of Hell Is For Hyphenates, featuring Luca Guadagnino talking the films of Maurice Pialat, will be released on 31 December 2017. 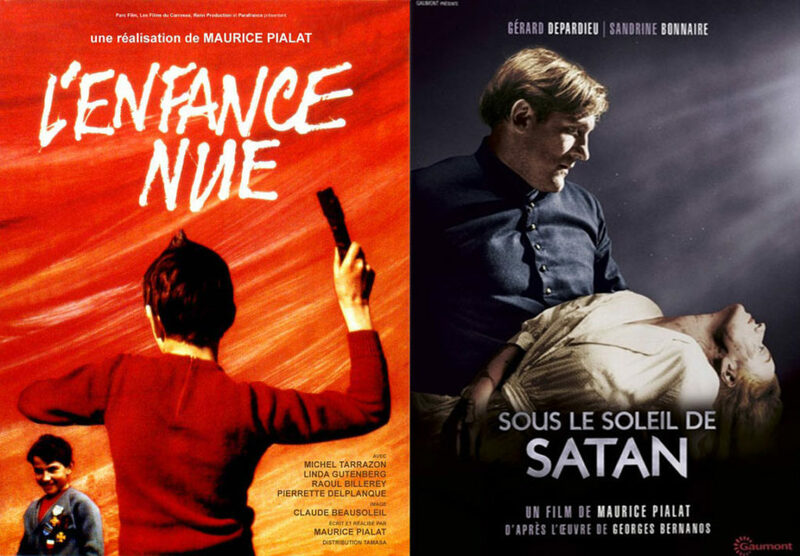 This entry was posted in blogs and tagged à nos amours, cheat sheet, l'enfance nue, la maison des bois, luca guadagnino, maurice pialat, naked childhood, sous le soleil de satan, the house in the woods, to our loves, under the sun of satan, van gogh on December 26, 2017 by The Hyphenates.